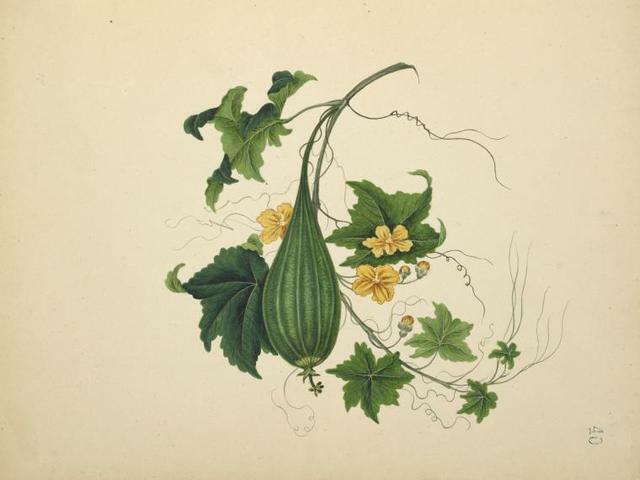 Small green ribbed gourd, yellow flowers. 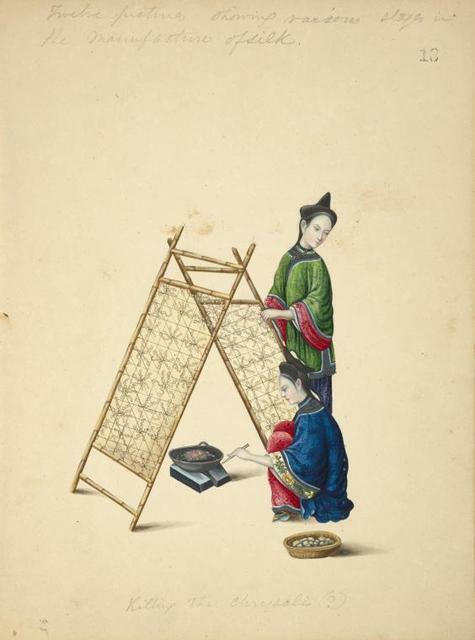 Twelve pictures showing various stages in the manufacture of silk. 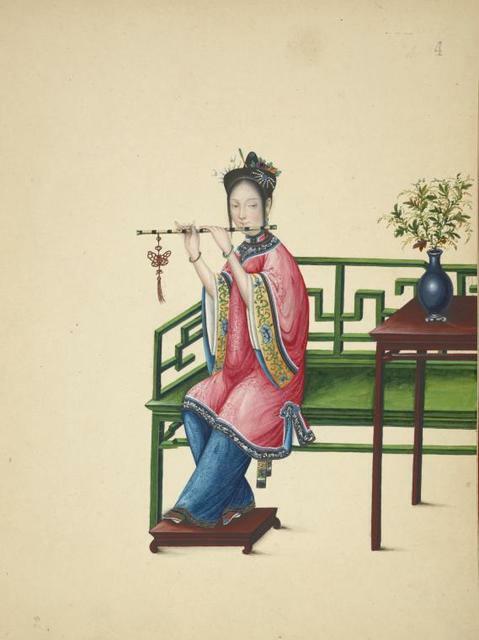 Killing the chrysalis (?). 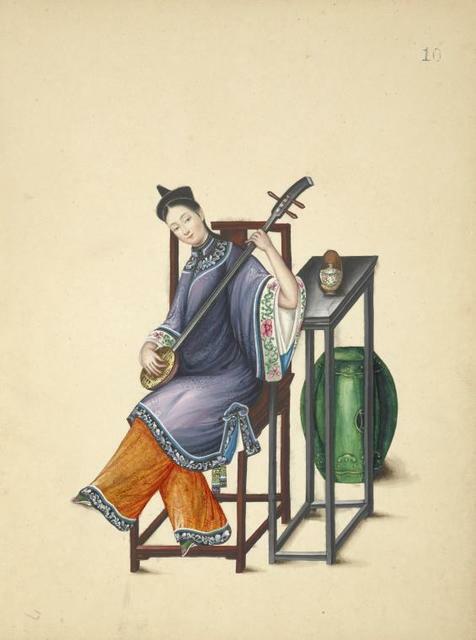 Woman seated on a long green bench, playing a dizi. 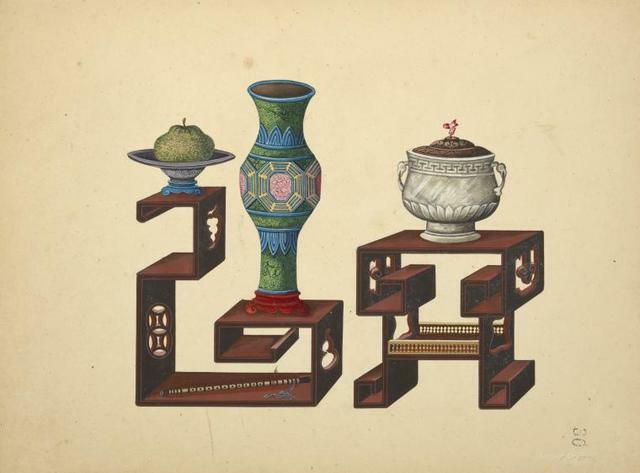 Two multi-level tables with vases. 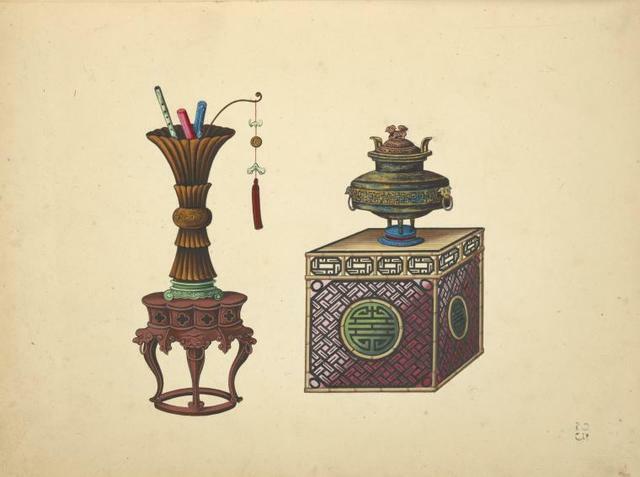 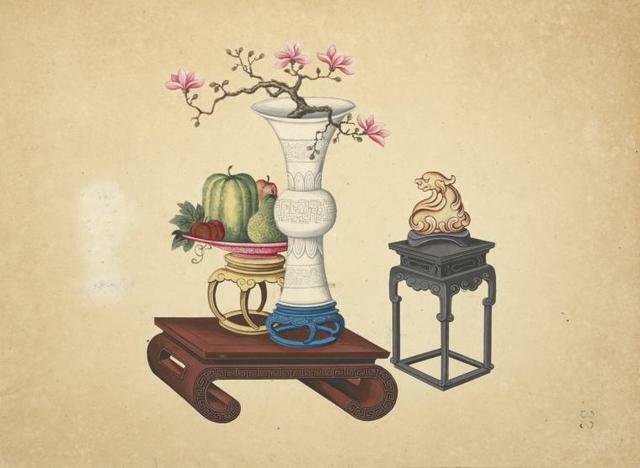 Small stand with vase, small square table with urn. 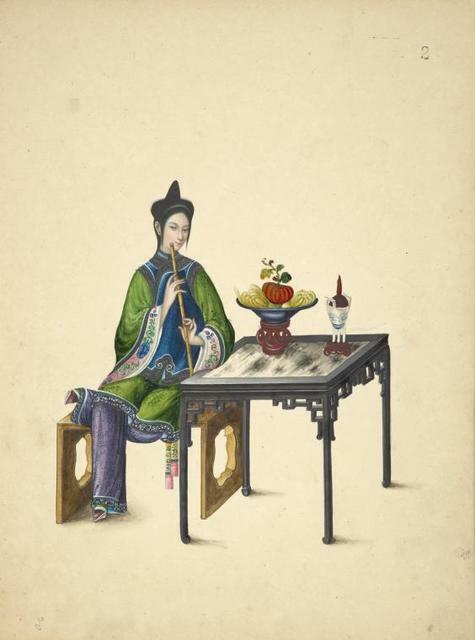 Woman seated at table, playing a xiao. 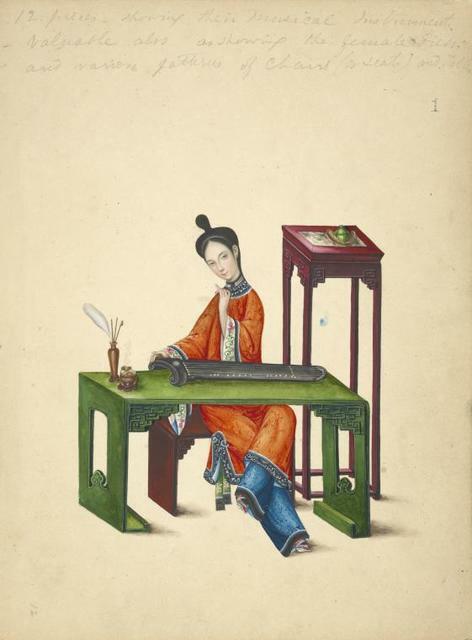 Woman seated at table, playing a sanxian. 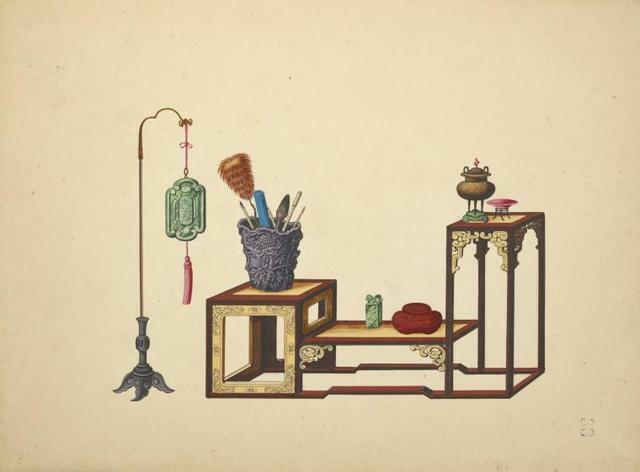 Hanging decoration, multi-level table with various objects. 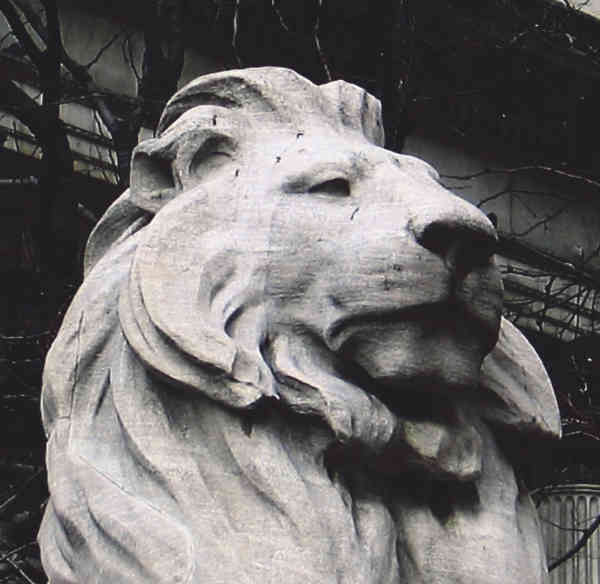 Bronze dish from Nimroud [Nimrud]. 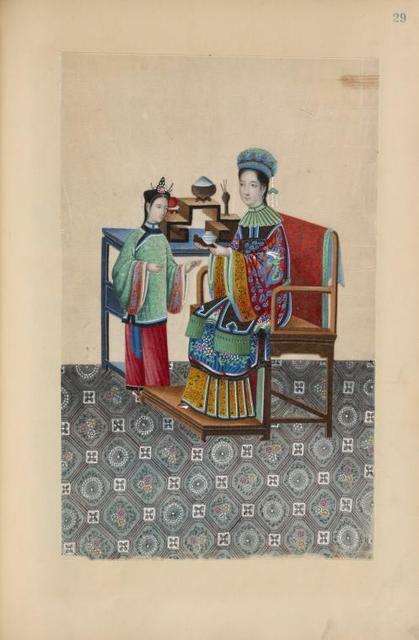 Woman sitting on a chair next to table, offering small dish to girl. 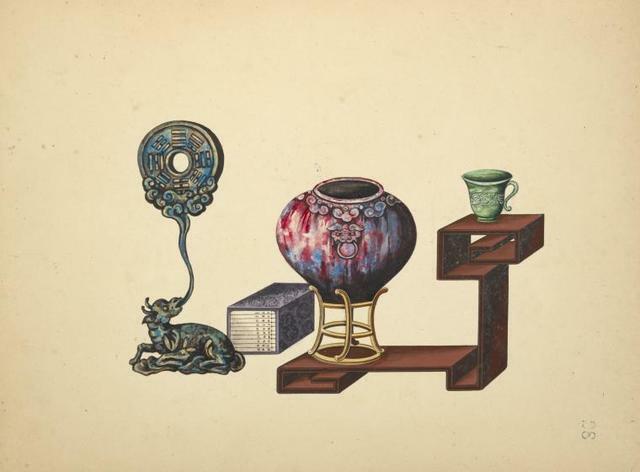 Enamelled vase & dish executed by Morell, for Webb of London. 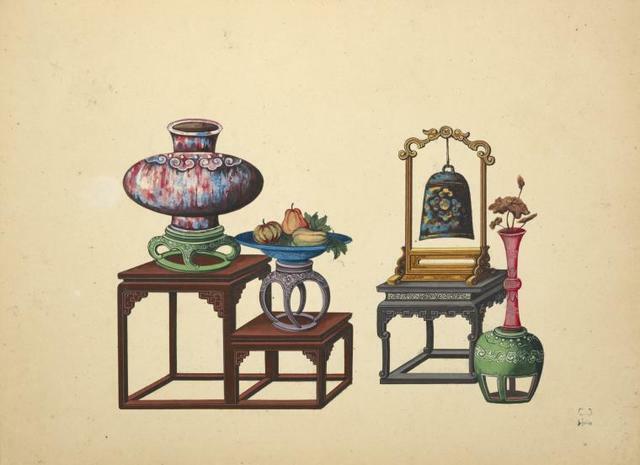 Bi-level table with vase and dish, low small table with hanging bell, vase.